Events are put on with special days for photography. These are usually photo charters as opposed to being put on by the railways. On these days a number of photographers will go out on trains usually well polished for the event, and at a point along the line they get off, into position and the train is run along once or several times to allow them to get the photographs, the train will often be accelerating and using smoke cartridges, producing more smoke and steam than it would normally. In some cases more than one train may be in use, for example they may also have a goods train, and switch engines providing 4 train sets. If you know when these days are on, and can predict the timing and where they will stop, you can use public access to also take advantage of these days, however the promoters of these events would far prefer you to be paying than having a free advantage on the back of their expenditure and organisation, so they are not widely promoted as they approach. Click on image to see larger version As they can go back and forward along the lines it can be difficult to know where they are going to be next, and some points they stop may not be easily accessible, or by the time you get there its all over. It is therefore often only practical to attend those on lines that you know very well and are aware of all access and viewing points. You may be able to deduce when these events are happening, Railways have public running schedules, and it would be difficult to put a photo excursion on a day when trains are running to schedule, they also have days where they are running driving instruction, and days when dining and other features are on. With our local railway there are also race days when there are charters that deliver people to Cheltenham racecourse. There are therefore only a small number of days when the railway is available for other charters. In some cases the railway will make the most of having a train and carriages all polished up and have a press day the day before or after, utilising the same setup, and sometimes spotting the press day announcement will warn you of other possibilities. Sometimes you can spot on the schedules a day when a train is being made available but there is no scheduled service. Press days are similar to photo charters, but are perhaps shorter time wise and simpler, with often more standing trains than runby's. Often a far longer time is spent at each location which is more likely to be a station or halt. You will also find some listed occasionally in photographic magazines and in magazines for railway enthusiasts, although most seem to be with photos after the event. Once you have been on one, you will make the contacts and most likely find out about a lot more. There are more running than we see promoted, and some organisers have groups of regulars who attend, so don't need to advertise. If you want to attend a charter on a particular railway you could try asking the railway who is organising charters and you may be lucky. Once you contact the people running the charter again you may or not get further information. 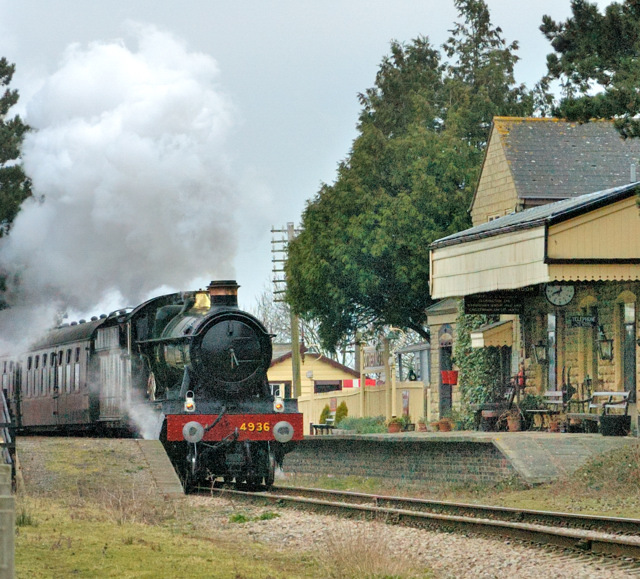 There are many other rail charters, aimed at providing a steam experience. Many railways run dining experiences some fish and chip specials and you will also find a range of companies and others running other steam tourism experiences. Links to some of these can be found in our Further Information page.